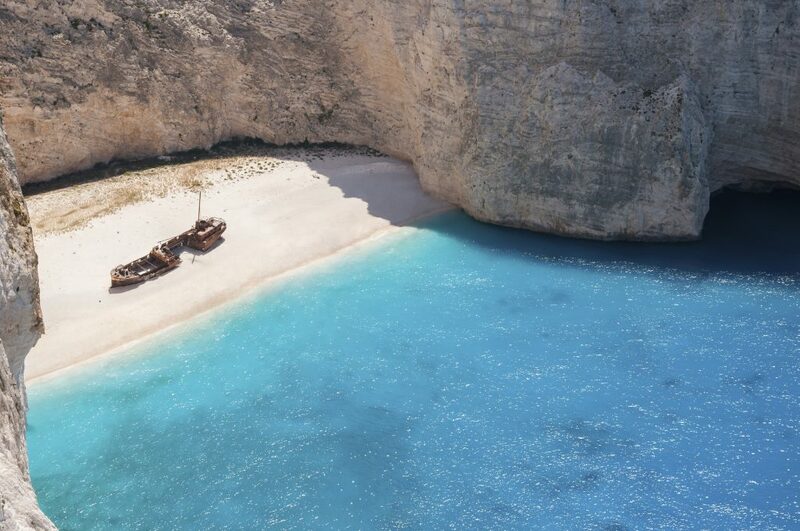 ﻿ Explore Ionian islands - Sail In Ionio, Sailing in Lefkada. Best prices in Lefkada island.Sail In Ionio, Sailing in Lefkada. Best prices in Lefkada island. Lefkada is surrounded by a total of 24 islets – Aristotle Onassis’ Skorpios being one of them. It connects to the opposite coast of Central Greece via a floating swing bridge (length: 50 m). The bridge offers easy access to Lefkada to visitors from all over Greece. On Lefkada you will find noteworthy sights, churches and monasteries, picturesque villages, lush vegetation, idyllic coves of transparent, turquoise waters, busy and secluded beaches of stunning beauty, a significant cultural heritage and hospitable locals. The island’s name means white, and refers to the white cliffs in the south part that are characteristic for Lefkas. According to mythology, the island was given by Odysseus father to Penelopes father as a wedding gift. The cliffs of the island were a “favourite” suicide spot for people with broken hearts, and some legends claim that it was here, and not on Lesbos, that Sappho jumped to her death after her love for a sailor had not been returned. This lush green island with breathtaking beaches and crystal clear waters of greenish-blue colors will leave you speechless. Kefalonia glows in the Ionian Sea and carries a rich history in cultural tradition. It’s the biggest Ionian Island and the green of its mountains blend with the blue of the water making it truly unique and a beloved destination. If you happen to love snorkeling or diving then the island’s amazing seabed will definitely satisfy you. You might even get the chance to encounter the rare, Caretta Caretta, sea turtles that take refuge here, as well as the monk seals monachus monachus. 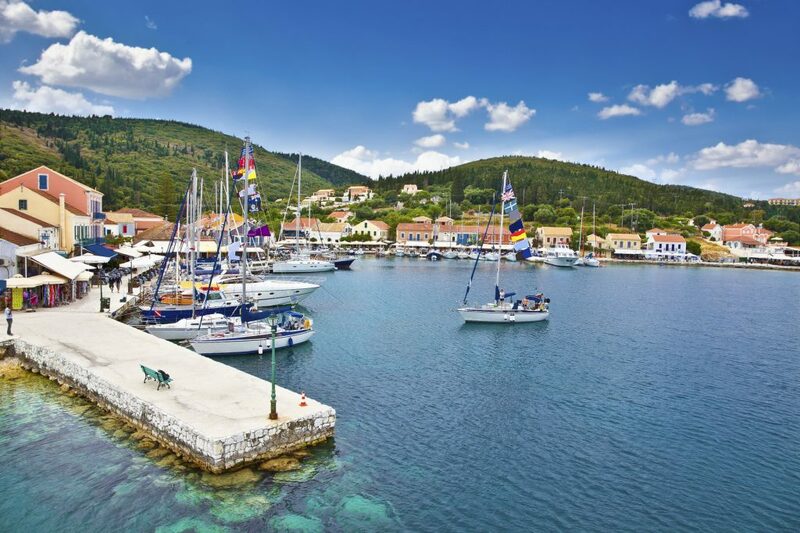 Kefalonia’s culinary tradition, history, picturesque villages, upbeat nightlife and pristine beaches will make you fall in love with the island. Kefalonia is an island as attractive to walkers as it is to sunbathers. For the walker there are acres of inland forest covered mountains to explore. For sun bathers there are plenty on beaches (many of them among the most beautiful in the Mediterranean. Is one of Greece’s best secrets and once voted 10th in a world scenic beauty league, thus it demands and deserves exploration. Worldwide famous as the home of Odysseus, Ithaca symbolises the return to the haven, the discovery and the fulfillment. Despite its proximity to Kefalonia (Cephalonia) (2km northeast) it is much more peaceful, quiet and undiscovered from it, thus being an ideal place for alternative activities and a holiday living up to the standards of the most demanding ones amongst us. With picturesque towns such as Kioni and Friskes, Ithaca is a lovely little island to explore. 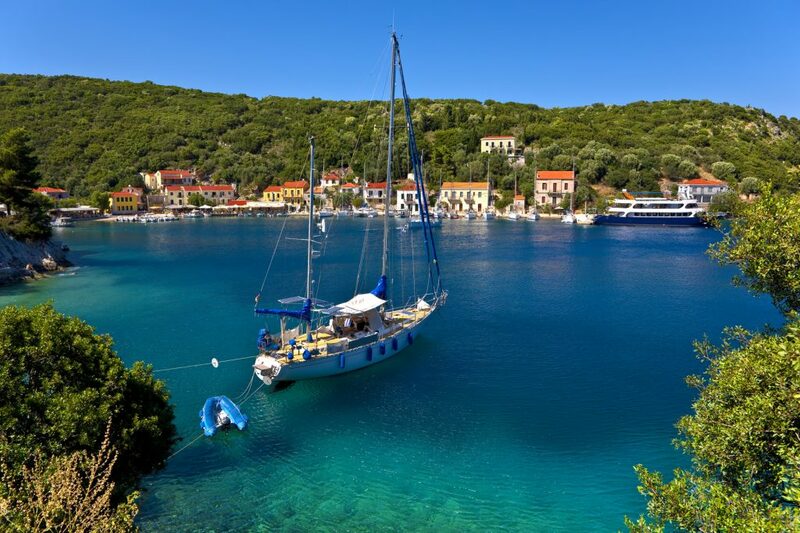 Ithaca is an island unspoilt by tourism, it is calm and beautiful and perfect for a relaxing holiday. It has very clear waters so is excellent for snorkeling and there are many different kinds and colors of fish to see. 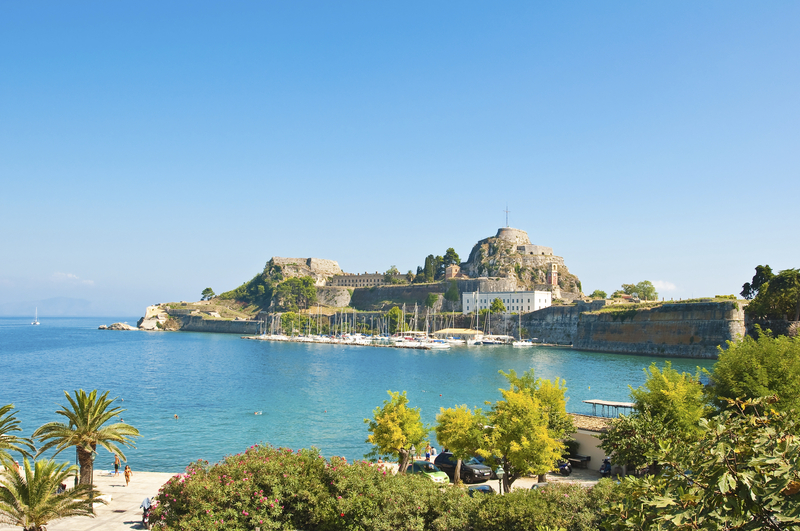 After a visit here you will see why Odysseus spent 10 years struggling to get back home, to this wonderful island. The most southerly of the Ionian Islands has a varied landscape, the west is characterized by striking mountain scenery and is largely uninhabited and the east is packed with fertile plains, picturesque bays and long sandy beaches. Zante is a beautiful island, with many varieties of pretty colorful flowers that seem to blossom all year round. The island captured the hearts of the Venetians who ruled here for many years and who nicknamed Zante ‘Flower of the East. Zákynthos (Zante) is a verdant island endowed with fertile valleys and a temperate climate. Its landscape diversity has resulted in different types of beaches: there are sandy beaches in secluded coves where the tranquil waters are deep blue on the island’s southeastern part; yet, if rugged cliffs and an interesting underwater world are to your liking, try the western part of the island. Paxoi is the smallest of the Ionian Islands, lying just 11 km from the southernmost tip of Corfu. 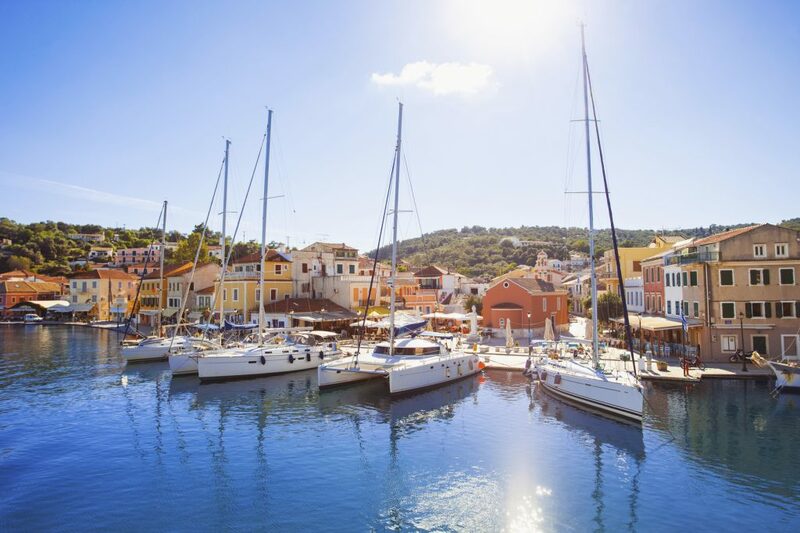 Many visitors return year after year to Paxos to experience the intimacy of this peaceful haven, the genuine friendliness of the locals, and the captivating scenery. Paxos is covered in many olive groves with ancient gnarled and twisted olive trees, some of them hundreds of years old, which shelter numerous species of wild flowers and small vineyards. This serene and unspoiled landscape is what makes a holiday to the island of Paxos truly memorable. Cultural village of Europe for the year 2004, Paxi (or Paxoi) is the ideal island for a peaceful holiday. Fjord-shaped beaches, underwater caves, small bays and green hills welcome the lucky visitors. According to the legend, the island would be the southernmost tip of Corfu, if the God of the Sea, Poseidon, had not broken it off with his trident when he needed a god-deserving place to live his love with the Nereid Amphitrite. Tourism has been gently introduced to the island. There are excellent beaches and quiet coves, with crystal clear waters, perfect for swimming. Although only one or two are sandy beaches, Paxos has the most magical clear waters for enjoyable swimming. The island has become a favourite destination but continues to remain unspoilt. Corfu is an island which enchanted poets and kings. It’s the port which linked the East to the West . Europeans no longer consider it to be an exotic destination, however it continues to be one of the most fascinating places in Europe. It offers an impressively varied flora, desert beaches, crystal water, narrow paths through thick, perennial olive trees , Byzantine churches , medieval villages, traditional Greek taverna’s and amusement facilities. Corfu is a place which refreshes the mind and reactivates the human senses.